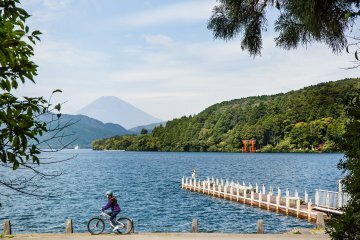 Imagine a world where getting from Tokyo to Nagoya only takes 40 minutes and a trip to Osaka just a little longer than your one-hour lunch break. Cutting these current transportation times by more than half may seem far-fetched now, but in Japan, this is more than just an idea, it’s a plan, and one that is already in motion at the Yamanashi Prefectural Maglev Exhibition Center. 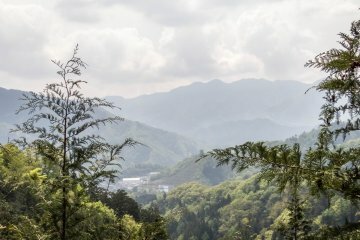 The center was opened in 2014, alongside the Yamanashi Maglev Test Line, a 42.8 km length of track where Maglev train test runs are taking place in preparation for commercial use. 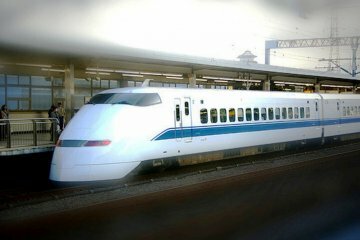 It is the only place in Japan where visitors can see a Maglev train up-close running at a speed of 500 km/hour. Yes, 500 km per hour! 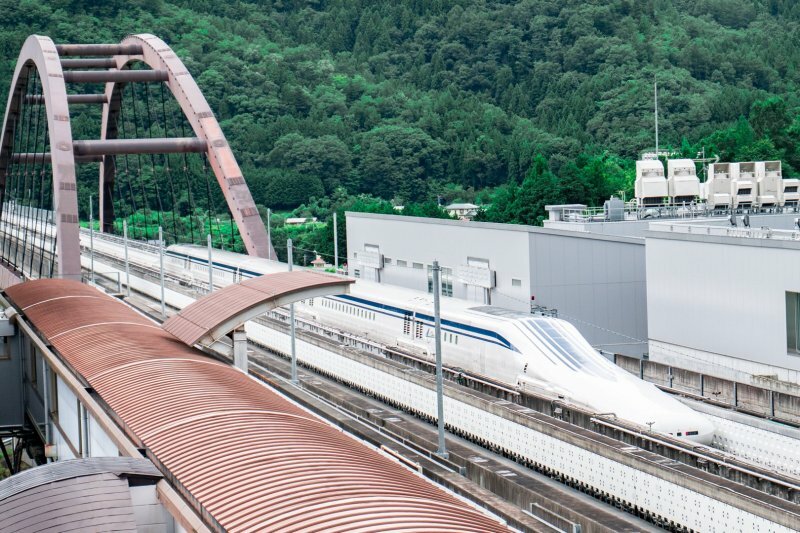 It’s hard to explain maglev, or magnetic levitation—a complex technology that allows an object like a shinkansen to float above the tracks—in a simple way, but the center does an incredible job of it. Visitors to the center are greeted on the first floor by a real MLX01-2 maglev train. It is the actual train that recorded speeds of 581 km/h in a manned test run in 2003, which was the world’s fastest railway speed ever recorded at that time. The record is now 603 km/h, which was achieved on test tracks in 2015. 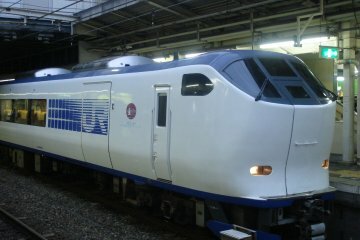 However, commercial trains on the new maglev Chuo Shinkansen line will stick to the 500 km/h. 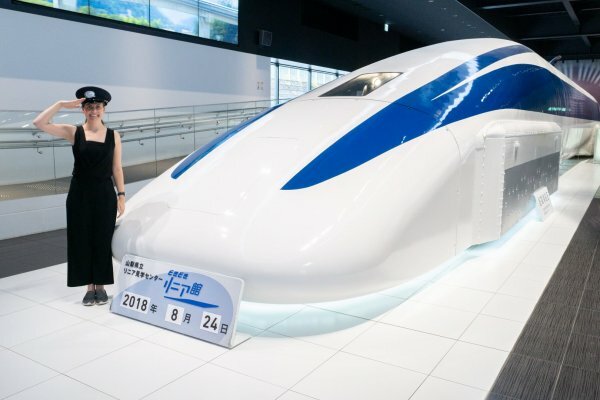 Here in front of the MLX01-2 maglev, you get your first taste of the interactive nature of the center, where you are welcomed to take photos with it in a driver’s uniform, touch its sleek exterior and even get aboard one of its carriages. On the second floor, the Superconducting Maglev Concept area explains the science behind maglev technology with fun, hands-on displays, and the adjacent Superconducting Rollercoaster uses magnets cooled in liquid nitrogen to simulate how a maglev train can move along the tracks. 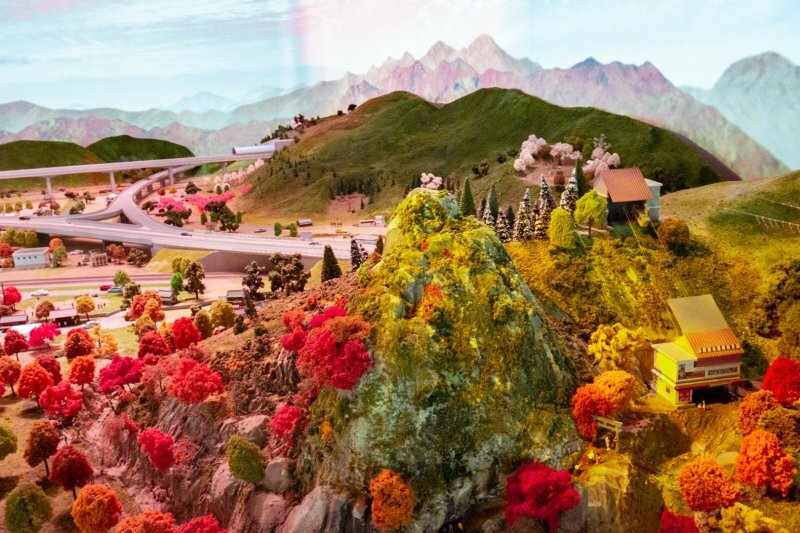 Be sure to take a ride on the ‘Miniature Maglev,’ a slow moving ride that’s suitable for small and big kids alike, that allows you to experience what it’s like to float on air. Up on the third floor, there is a 17 m Maglev Diorama, representing the future of Yamanashi when the Chuo Shinkansen begins operation. The diorama is incredibly detailed and if you study it closely you’ll see that small figurines and other details also move, along with the trains and buses and Fuji-Q Highland rides. 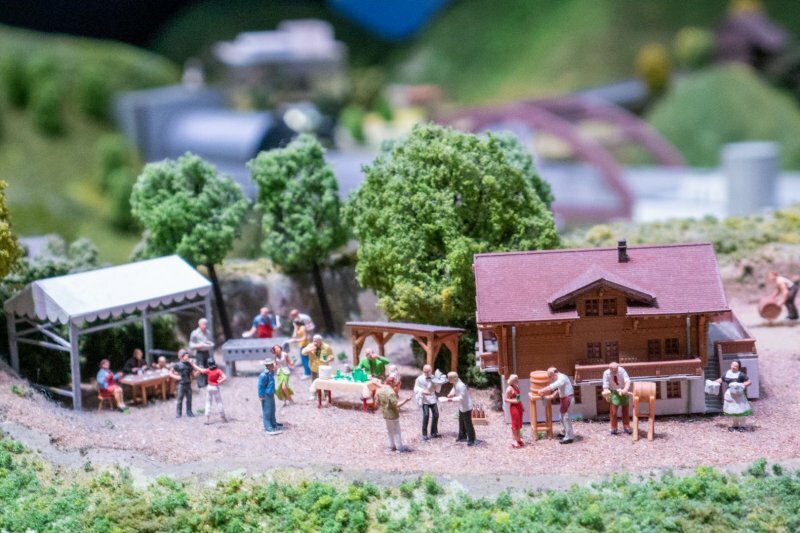 Various video presentations play in conjunction with the moving diorama display. 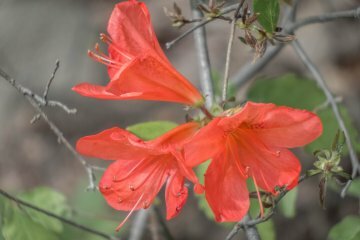 My favorite was ‘Yamanashi’s four seasons’ which saw the scene go from the blooms of spring and the fireworks of summer to the warm hues of autumn and the cooler festive season. 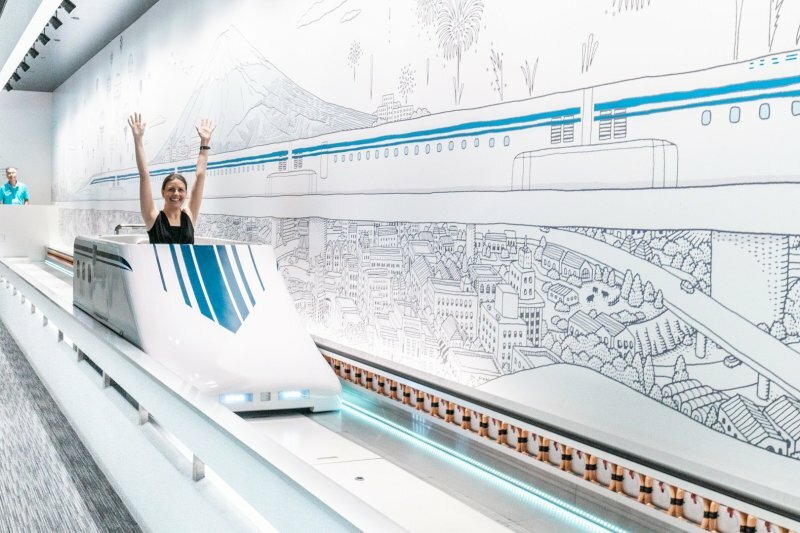 See and experience a maglev train going 500 km/h! 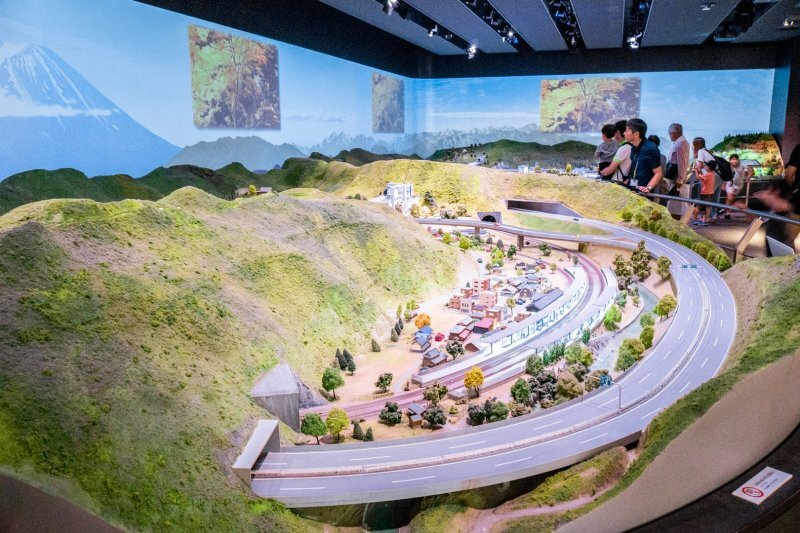 Opposite the entrance to the diorama is the 4D Maglev Theater where you can watch an eight-minute video about the history of transportation in Yamanashi and the significance of the new Linear Chuo Shinkansen line. You’ll also get the chance to travel virtually on a train going 500 km/h. For the most interactive experience, grab a seat in the differently colored back row which uses an exact replica of the maglev seats. All seats actually move and allow you to feel what it’s like to be gliding 10 cm above the tracks! Of course, seeing a real test run is one of the highlights of a visit to the center. There are observation decks on all three levels for differing viewpoints. The 2nd floor is arguably the best as you can hear the air pressure caused by the trains. You’ll actually start to feel and hear the train before you can physically see it. 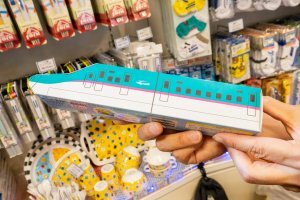 For those wanting to commemorate their visit, the adjacent Yamanashi Pavilion has a gift shop featuring Maglev souvenirs only available at the center and specialty Yamanashi products. There is also another observation room on the third floor where you can watch test runs. 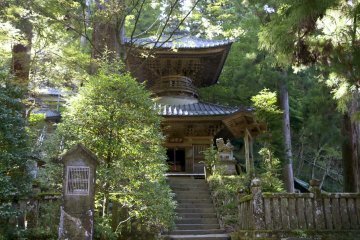 For those traveling with children, the center is the perfect destination. 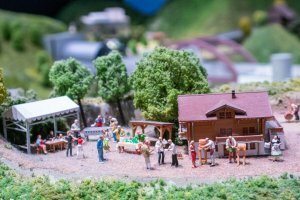 Not only do kids love seeing the fast trains and experiencing the interactive displays, but families are well catered for with a play area for kids aged 6 and under, a nursing room for those traveling with infants and a workshop space for fun crafts. 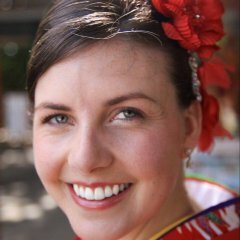 In order to eliminate as many language barriers as possible, the center utilizes a multilingual subtitle service app known as UDCast that provides synchronized subtitle data for the audio for films and other visual works. It’s currently available in English, Chinese (simplified) and Korean. Visitors can download the app to their smartphones using the center’s free Wi-Fi. 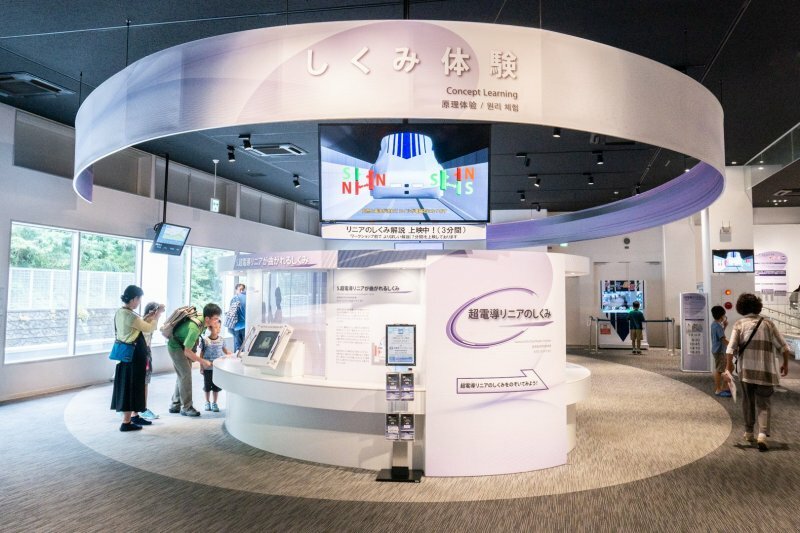 The Yamanashi Prefectural Maglev Exhibition Center really brings the sophisticated technology of the linear motor to a wide audience, allowing its visitors to not only imagine the future but actually see and experience it. It’s fun, interactive and a prelude to what we can expect in the not-too-distant future. 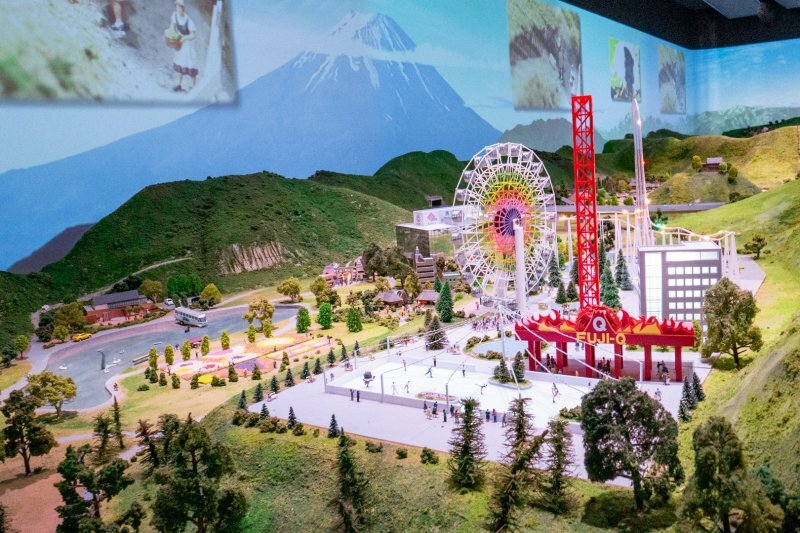 The revolutionary Chuo Shinkansen line between Tokyo and Nagoya is scheduled to open in 2027, and thanks to the Yamanashi Prefectural Maglev Exhibition Center, you can be one of the first to see its future stars in action. 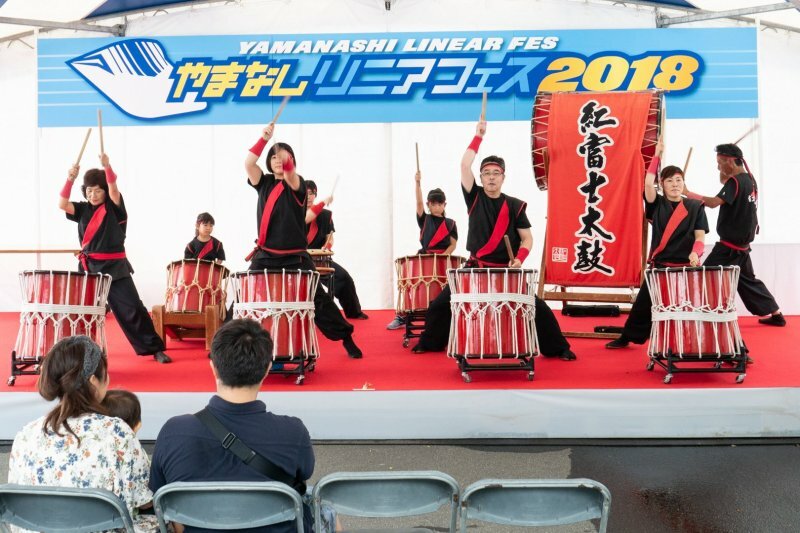 See the Yamanashi Prefectural Maglev Exhibition Center website for current information on opening days and times, admission fees, test run days and periodic special events. 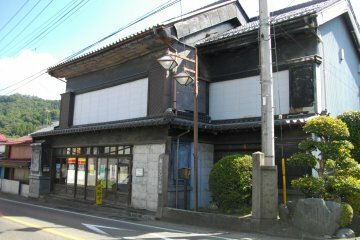 The center can be accessed from Otsuki Station on the JR Chuo Line, from where it is an easy 15-minute bus ride directly to the center. 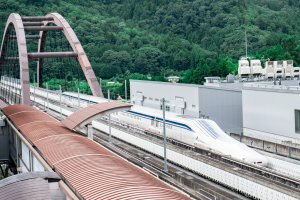 The Chuo Shinkansen maglev is supposed to start service in 2027. For now, we will have to settle for Linimo Line in Aichi Prefecture. 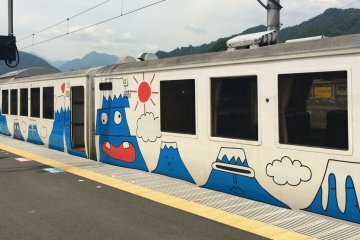 Japan is definitely the place for train enthusiasts! This technology is pretty incredible!